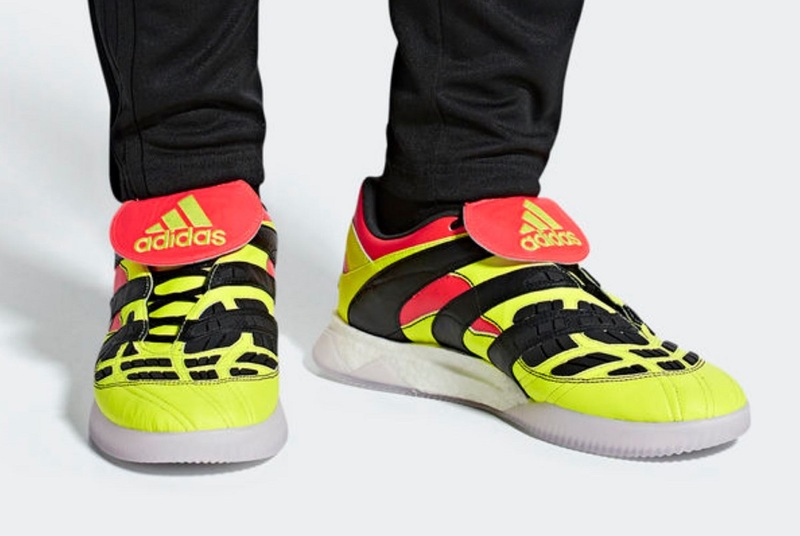 With the impending arrival of the iconic adidas Predator Accelerator re-make right around the corner, adidas is again teasing fans by dropping pics of a street version in the same Electricity colorway. Honestly, the arrival of this re-release is one of the most hotly anticipated we have ever seen, with fans heavily excited to snap up pairs of the updated legendary boot. Immortalized by legends of the pitch, this version of Predator Accelerator has returned to claim the street. 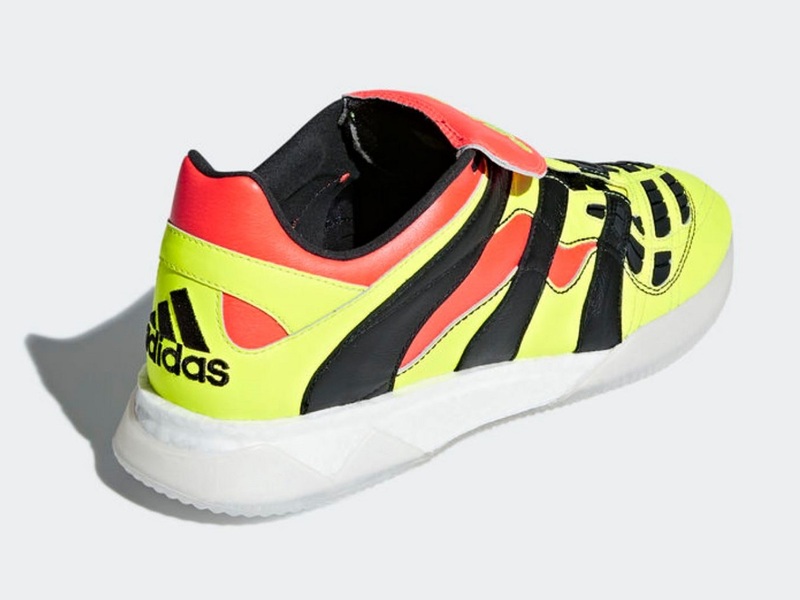 In terms of visual effect, you get the same Solar Yellow/Solar Red blend of colors found on the original, with a fold-over tongue and signature rubber pads on the forefoot mimicking the original Accelerator’s no-nonsense style. 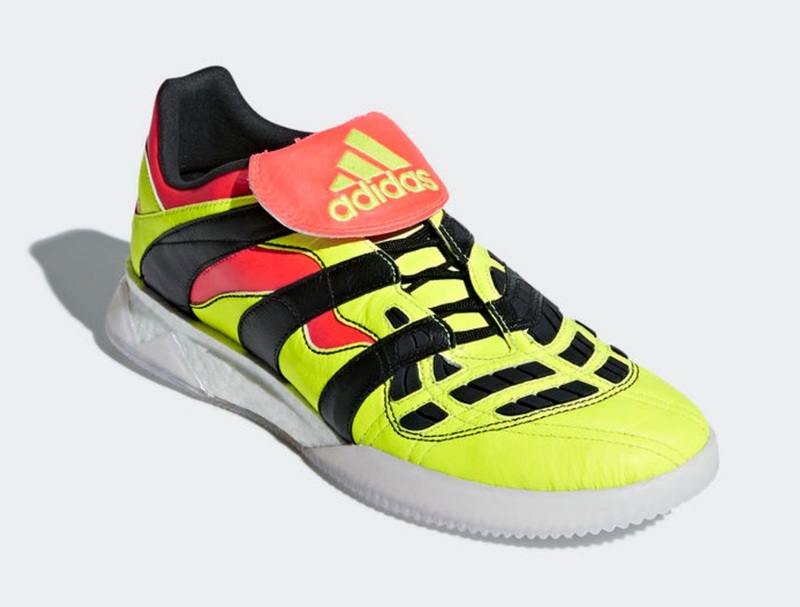 The upper is made of a super soft k-leather upper, with the added twist of a laceless design. These images come from the Canada listing for the boots, with a retail of C$360 or around $270. Last week, David Beckham helped drop a sneak peek as part of adidas “Create the Answer” ad campaign. Just the mention of a Limited Collection remake has sent boot collectors into a true frenzy. This would definitely be a boot that would sell out in an instant, not minutes, but seconds. So, as you would expect we patiently anticipate their arrival here in the US, which should happen very soon! 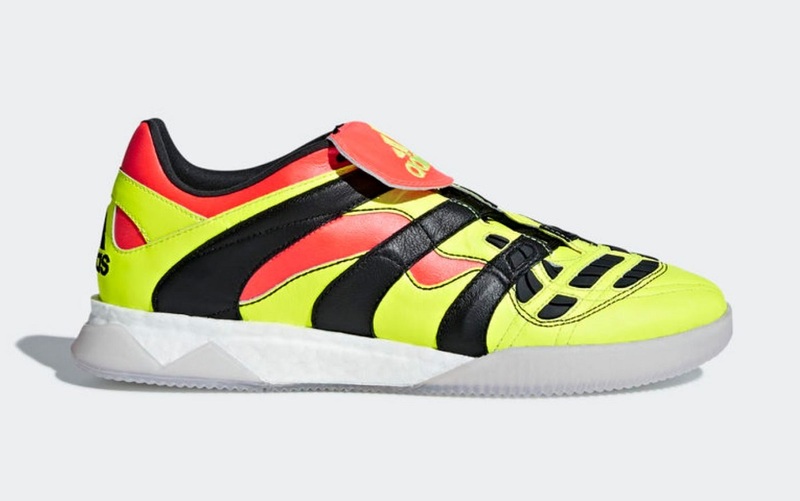 Stay tuned for more release details….